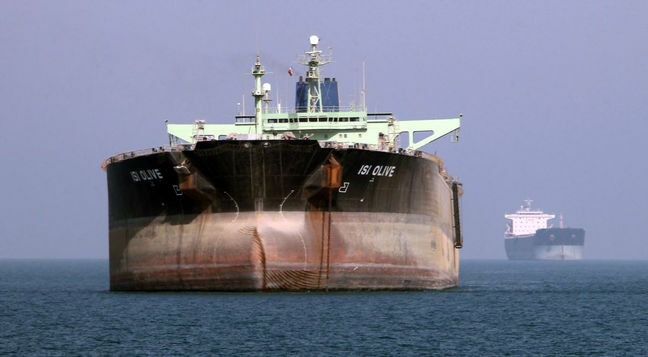 EghtesadOnline: An independent Chinese refiner has suspended crude oil purchases from the United States and has now turned to Iran as one of its sources of crude, media reports cited an official from the refiner, Dongming Petrochemical Group, as saying. The source said Beijing is planning to slap tariffs on US crude oil imports and replace them with West African and Middle Eastern crude, including crude from Iran, Oil Price reported. China has already said that it will not comply with US sanctions against Iran and it seems to be the only country for now in a position to do this. US crude oil exports to China reached 400,000 barrels per day at the beginning of this month, but now Beijing is planning to impose a 25% tariff on these as part of its retaliation for Trump’s latest round of tariffs on $34 billion worth of Chinese goods. The retaliation began with tariffs on 545 US goods worth another $34 billion, but Reuters reports that oil tariffs will be announced at a later date. Energy analysts seem to believe that these oil tariffs are more or less a certainty, and now expect a reshuffle of crude oil imports to Asia. With China turning to Iran for its crude, US oil could start flowing in greater amounts to another leading importer in the region, South Korea, according to Financial Tribune. “If China retaliates with tariffs on US crude, that could improve South Korea’s terms of buying US crude ... because the US would need a market to sell to,” an analyst from the Korea Energy Economic Institute said. Meanwhile, South Korea’s Embassy in Iran this weekend rejected media reports that the country had suspended oil purchases from Iran under pressure from the United States. The US has pressed South Korea and some other nations to cut down its purchase of Iranian oil to zero or face so-called secondary sanctions. The deadline is Nov. 4 when the 180-day grace period ends. In May, the US announced its exit from the 2015 nuclear agreement with Iran, formally dubbed the Joint Comprehensive Plan of Action, and plans to reinstate harsh sanctions on the OPEC member. The country is the third-biggest buyer of Iranian crude in Asia, buying Iranian crude at an average daily rate of almost 300,000 barrels since March this year.